Chaplain (CPT) Michael J. Johnson, a native of Thomson, GA, graduated from the Georgia Institute of Technology with a B. C. E. in Civil Engineering in 1998. He earned his Master of Theology with an emphasis in Pastoral Ministries from Dallas Theological Seminary in 2008. In 2007, Trinity Fellowship Church in Richardson, TX commended him to the military chaplaincy. He was officially appointed as a chaplain upon completion of the Chaplain Officer Basic Course (CHOBC) at Fort Jackson, SC in September 2008. Chaplain Johnson’s first active duty assignment in 2008 was as the Battalion Chaplain for 106th Transportation Battalion, 101st Sustainment Brigade, 101st Airborne Division (Air Assault) at Fort Campbell, KY. His next assignment from May 2009 to June 2012 was as Battalion Chaplain for 1st Battalion, 506th Infantry Regiment, 4th Brigade Combat Team, 101st Airborne Division (Air Assault). During his time with the 101st he deployed to Afghanistan in support of Operation Enduring Freedom serving as the Task Force Red Currahee Chaplain. In January 2012 Chaplain Johnson successfully completed the 75th Ranger Regiment’s Ranger Assessment and Selection Program (RASP 2) and was assigned as the Battalion Chaplain for 1st Battalion, 75th Ranger Regiment at Hunter Army Airfield, GA from July 2012 to July 2014. While at 1st Ranger Battalion, Chaplain Johnson deployed twice in support of the Global War on Terrorism. 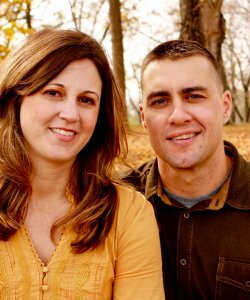 In August 2014 he was assigned to 4th Ranger Training Battalion, Fort Benning, GA where he is currently serving as the Battalion Chaplain for the Darby Phase of the United States Army’s Ranger Course. In 2016 Chaplain Johnson successfully completed the Chaplain Captain Career Course at Fort Jackson, SC as well as the United States Army’s Jumpmaster Course at Fort Benning, GA.
Chaplain Johnson’s awards and decorations include the Bronze Star Medal (1 OLC), the Army Commendation Medal (1 OLC), the Army Achievement Medal (1 OLC), the Valorous Unit Award, the National Defense Service Medal, the Afghan Campaign Medal (2 stars), the Global War on Terrorism Service Medal, the NATO Medal, the Overseas Service Ribbon, the Army Service Ribbon, the Combat Action Badge, the Ranger Tab, the Parachutist Badge, and the Air Assault Badge. He is married to the beautiful Nicole Johnson, formerly Miss Davis of Tuscaloosa, AL. They have three sons, Seth, Saul and Silas.